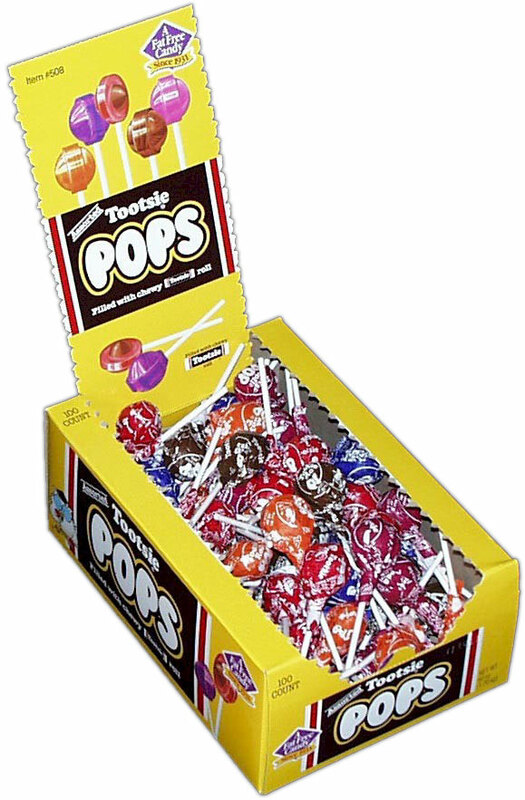 Tootsie Roll Pops 100ct Box - The MORE you order the more you SAVE on shipping ! Be sure to check your Paid Invoice for the Monthly discount COUPONS. 1931, the famous Tootsie Roll Pop was born. Tootsie Roll Pops were a revolutionary new confection, as they were the first lollipop with a soft chewy center. Over the years, Tootsie Pops have become part of American history. They have been featured on classic television programs and several motion pictures throughout the years.